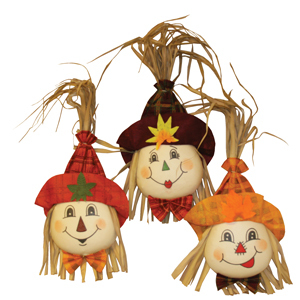 • Plush scarecrow heads have happy, painted on faces. • Measures 13 inches overall with hanger on back of hat. • 24 per case, $1.90 each.